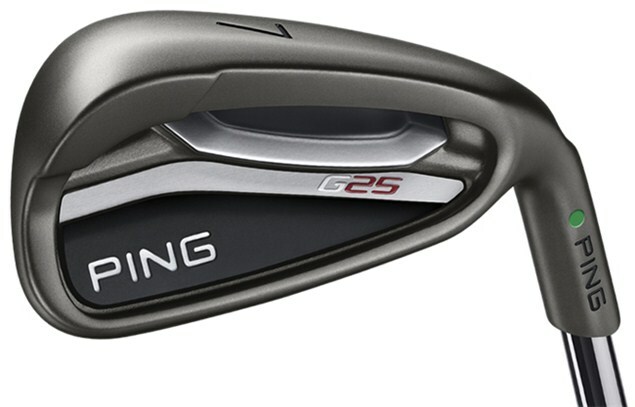 PING, looking to continue the successes of the G series iron sets, has announced the release of the anticipated 2013 model, the G25. Numerous PGA Tour professionals have used the G15 and G20 irons in the past, looking past the game-improvement moniker and embracing the forgiveness and playabiility of the irons. The G25 iron set builds off the technology and attributes of the past releases in the series yet forges a new path into the iron market. The G25 iron set is special in that it maintains all of the forgiveness of the super game-improvement iron of sets past yet does not have the bulky sole that has scared many players away from the set in the past. The G25 irons feature thinner progressive soles and a thinner topline to fall more in line with many iron set offerings from other companies. The progressive soles offer higher launch and forgiveness in the longer irons while making the shorter irons more workable. The faces on the G25 irons have been made thinner with more of a springboard effect, allowing weight to be redistributed throughout the heads of the irons, creating long irons with more forgiveness and short irons with flatter ballflight. PING says the sole width on the G25 7 iron through pitching wedge are closer in width to the I20 and Anser Forged iron sets, meaning the short irons will be more of a player's cavity back-type iron set versus the super game improvement irons of the past G series. This will definitely intrigue the better player and give them reason to try the set. Even the best players can benefit from the forgiveness in the long irons of the G25 iron set. PING is also changing the sole grind on the short irons, allowing them to rip through the turf easier, adding to the benefits for the better player who fears wide soles on irons. The G25 iron set is probably the best looking G-series iron set PING has released. 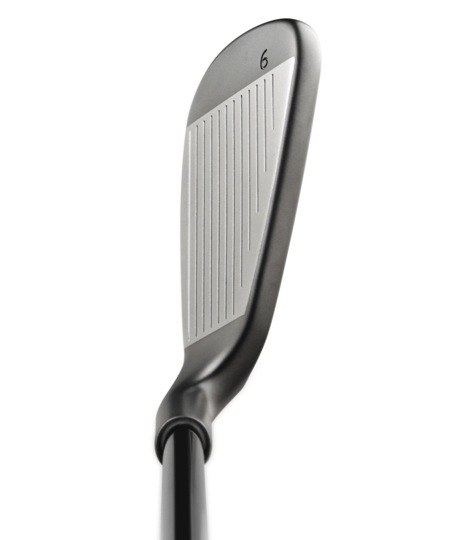 The irons are finished with a darker grey finish than other PING irons. This anti-glare finish gives them a mean look. 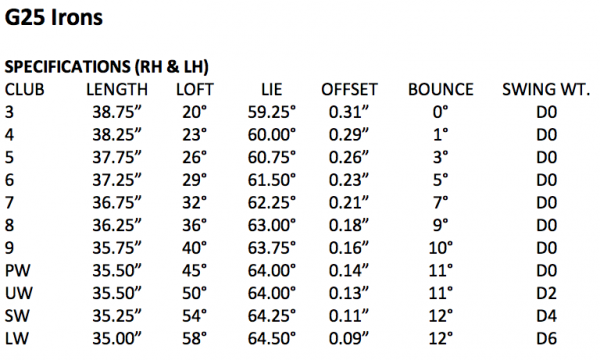 The irons also play with less offset than the past G20 and G15 sets. This combined with the thinner topline makes the irons even more appealing. All in all, PING has released what should be another winning iron set. Look for PGA professionals to switch to this iron set in the upcoming season. Give them a try!